I usually go walking on Mondays but because of the knee problem, these walks are on hold. 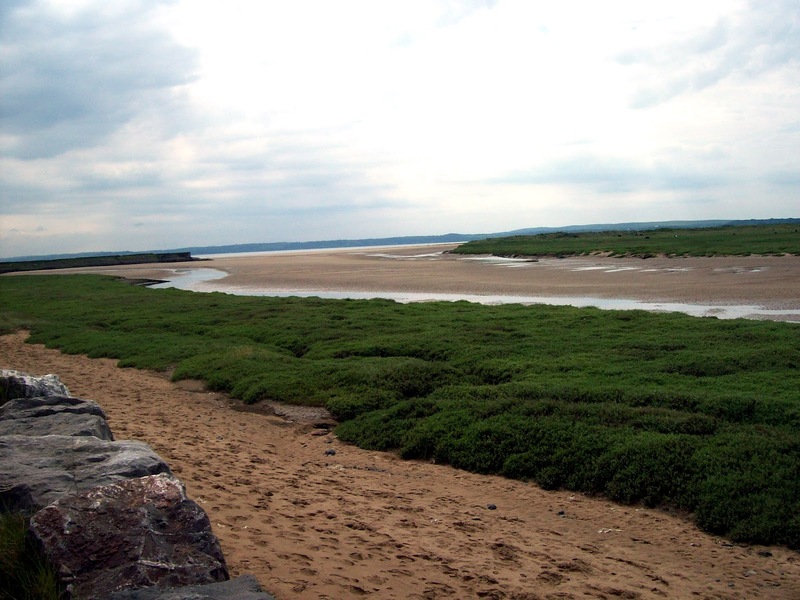 However cycling is the new walking and today I decided on a trip from Pembrey Country Park to North Dock on the outskirts of Llanelli and return. The forecast was for rain coming our way in the afternoon and thankfully I made it back just in time. The plan was to leave the car just outside the park, to avoid the fee, but in any event the park was closed because of the Beach Break Music Festival. 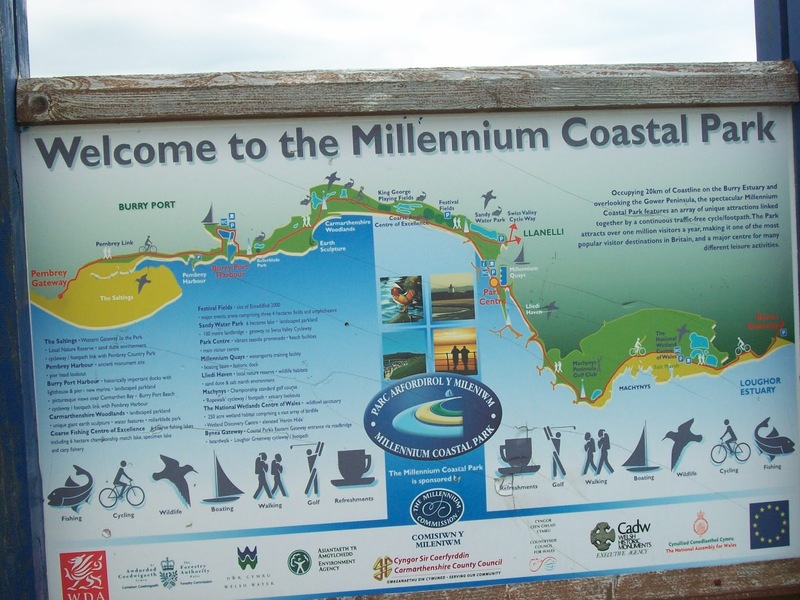 When the Millennium Path was built there were some who thought it would be a white elephant, but it is a busy thoroughfare with walkers, runners and cyclists finding it a picturesque route with views across the estuary to the Gower Peninsula. 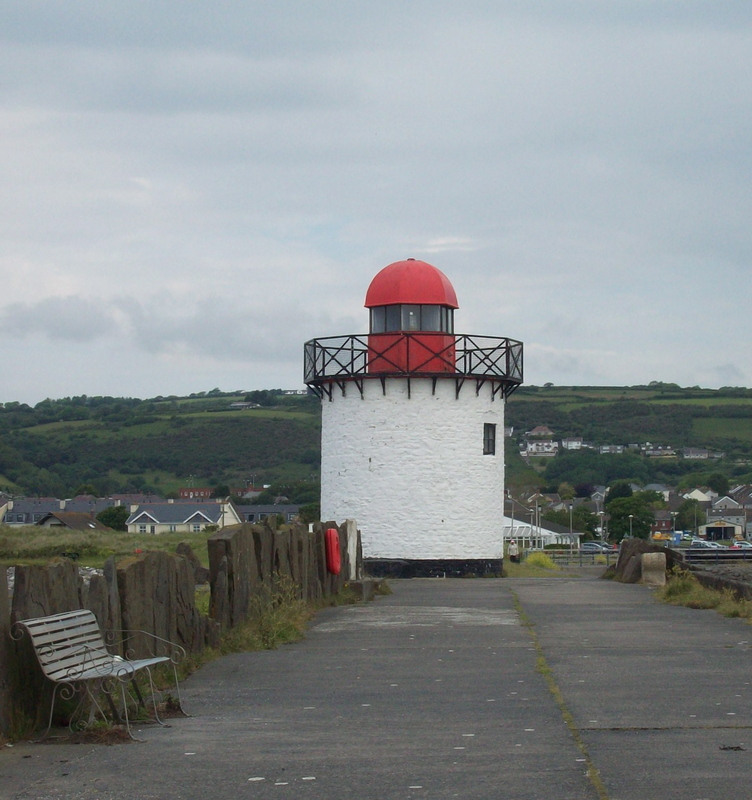 The route now forms part of the Wales Coastal Path which was opened in May 2012. 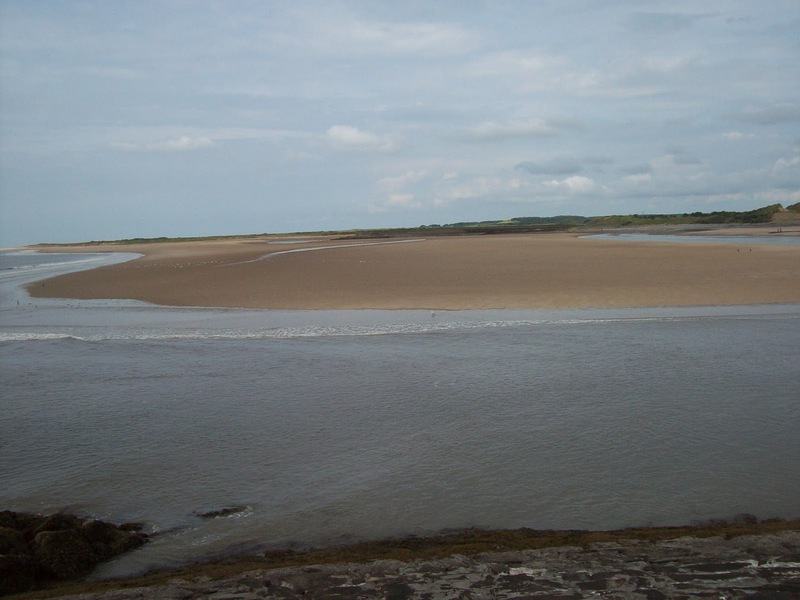 I am still surprised of the amount of ground I can cover when cycling and I was soon in Burry Port and stopped to look at the harbour. 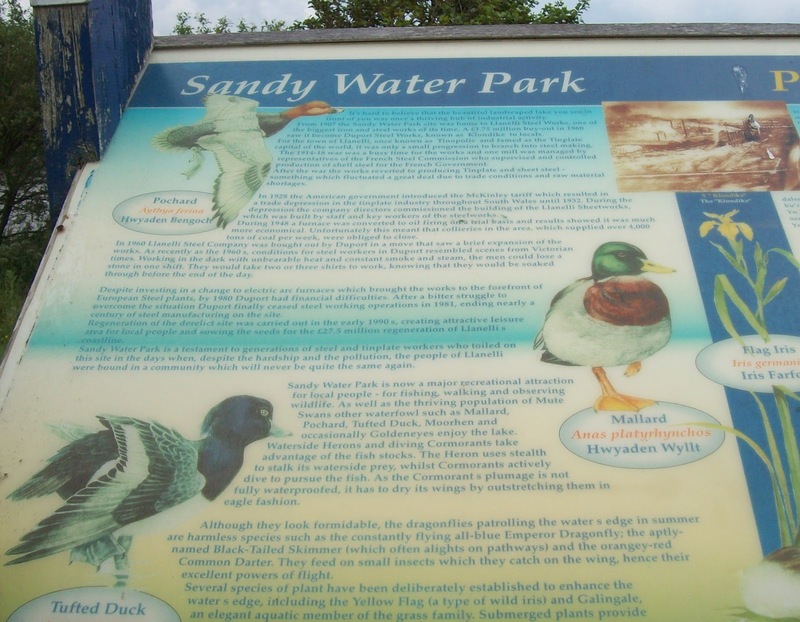 It was then on towards Llanelli taking a detour to circle Sandy Water Park. The notice boards explained this area was once known for its tin making and then sheet metal. These industries eventually closed and we now have something completely different in its place. 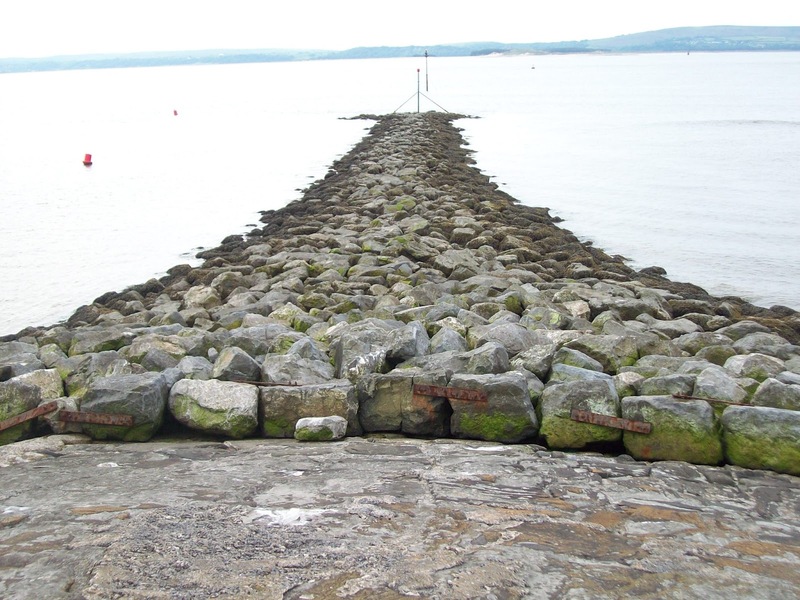 I soon reached North Dock, turned and headed back. 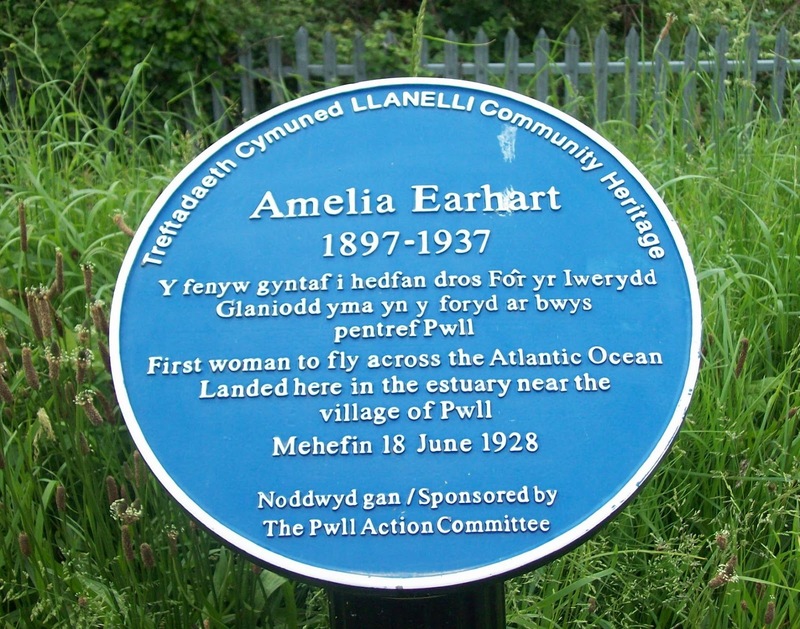 Although not a common sight on the path, it seems that a famous person landed her aeroplane near here! There was a cycling trail sign post which looked interesting and I turned off the main track and onto some “off road” track. Nothing serious but a nice change. The trail leads back onto the main path. 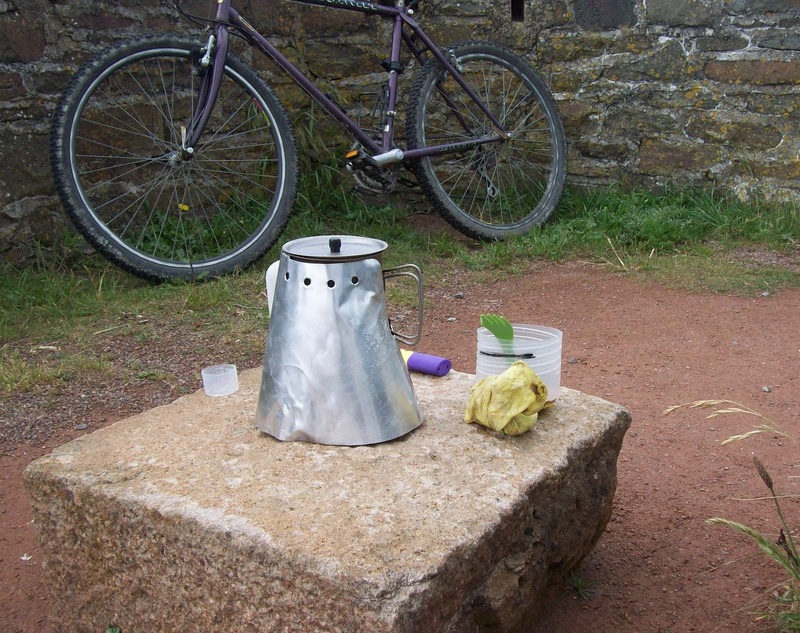 Just after Burry Port there is a side track which leads out to the sea and here I stopped for a brew. Looking back towards Llanelli it looked like rain was falling so I hurried back to the car at Pembrey – just in time. 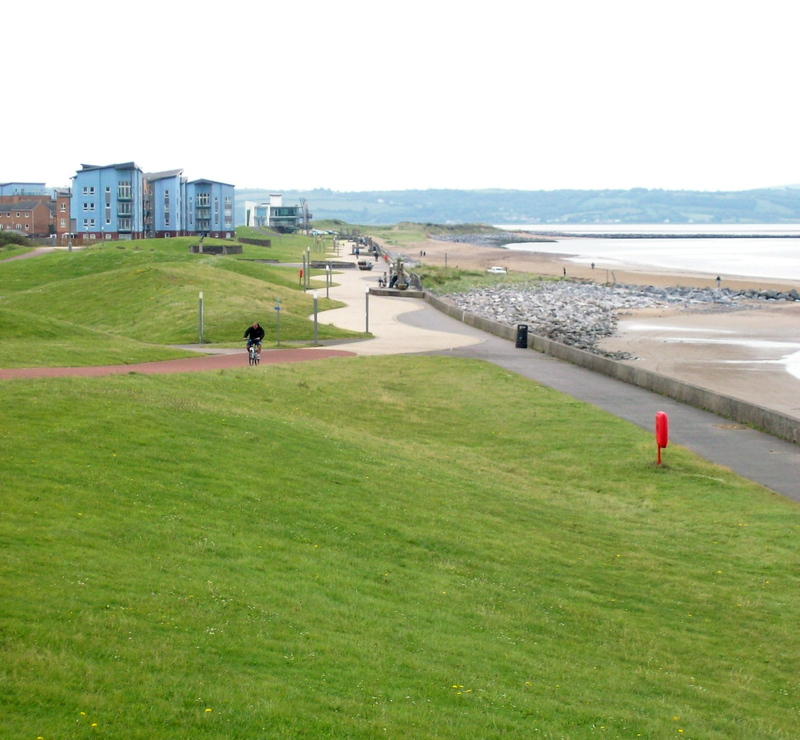 The Millennium Path continues east from Llanelli and this will feature some time in the future. Wel, that brings back some memories of my Welsh boundary walk last summer. 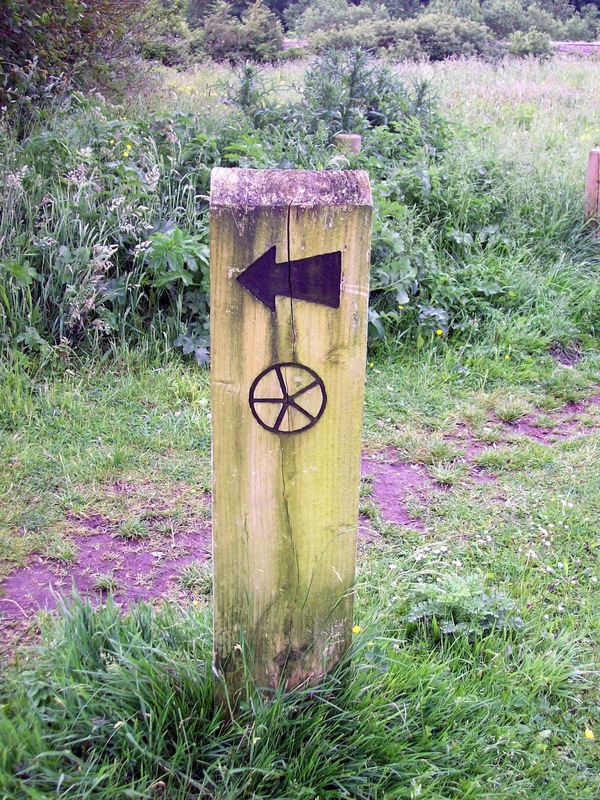 I walked your cycle route in the other direction. 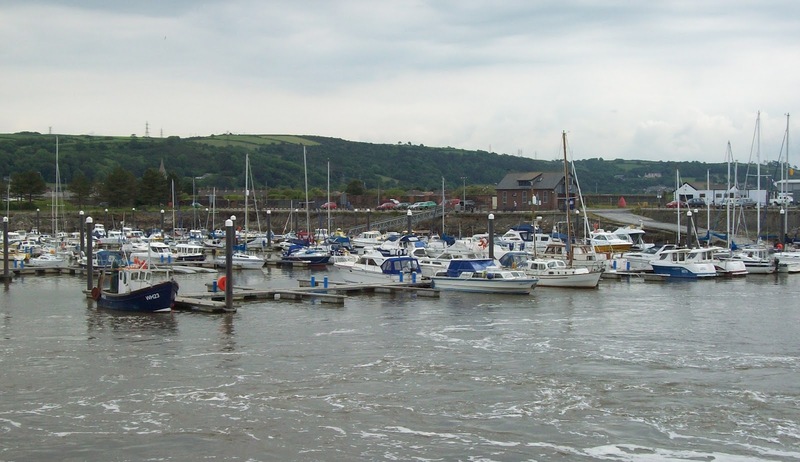 I stayed B and B at Harbour House in Burry Port (Alun and Marina Clements – first class b and b) and had a good meal that night in The Cornish Inn. The following day took me through the country park and very close to the BARC motor racing circuit (very noisy, but unseen due to trees). 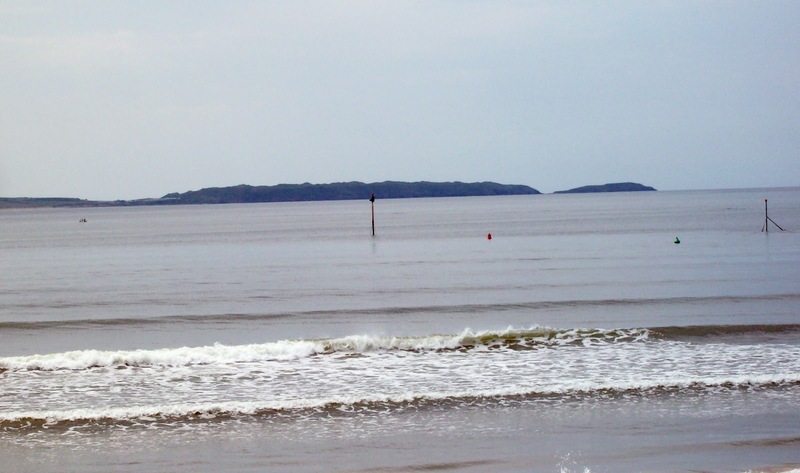 I look forward to more of your cycling ventures, especially if they involve the coast or any part of the inland Welsh boundary.